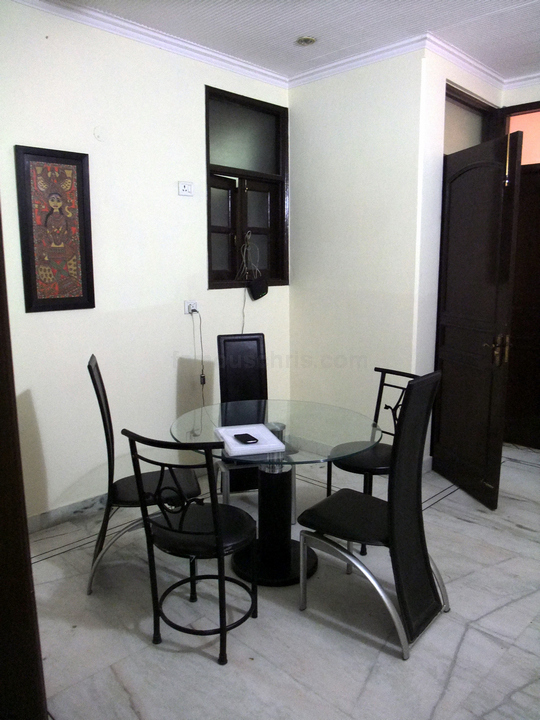 08.52 am – Cool thing about Incredible Homestay Delhi is ordering your breakfast from the phone and having them send it up to the dining area outside your room. 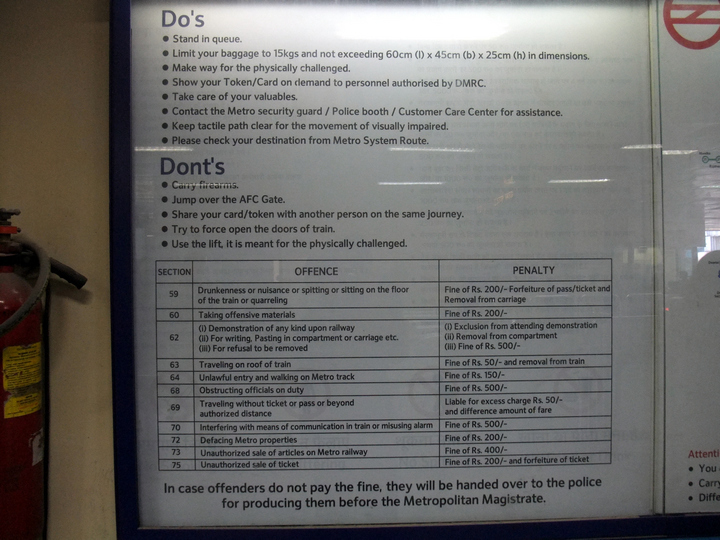 We were told that it would take at least 30 minutes so I did some day’s planning while waiting. 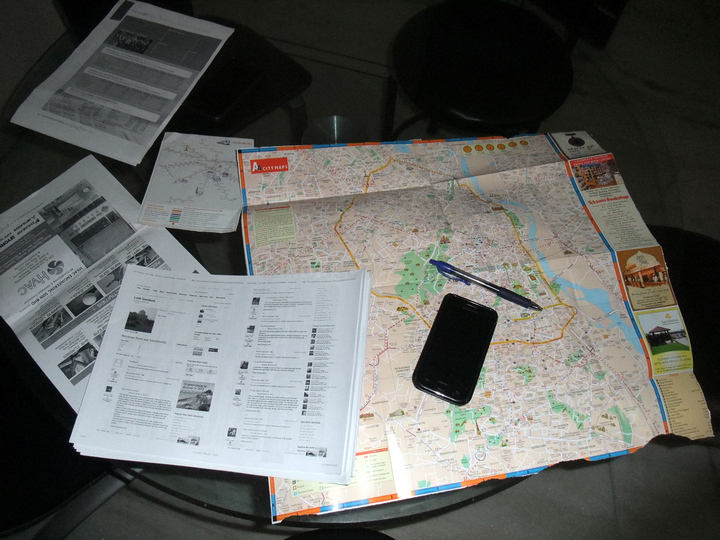 09.15 am – Breakfast arrived. 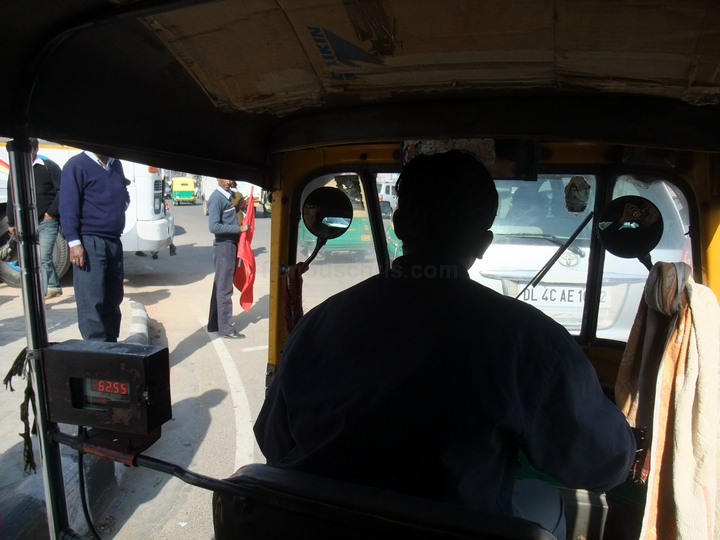 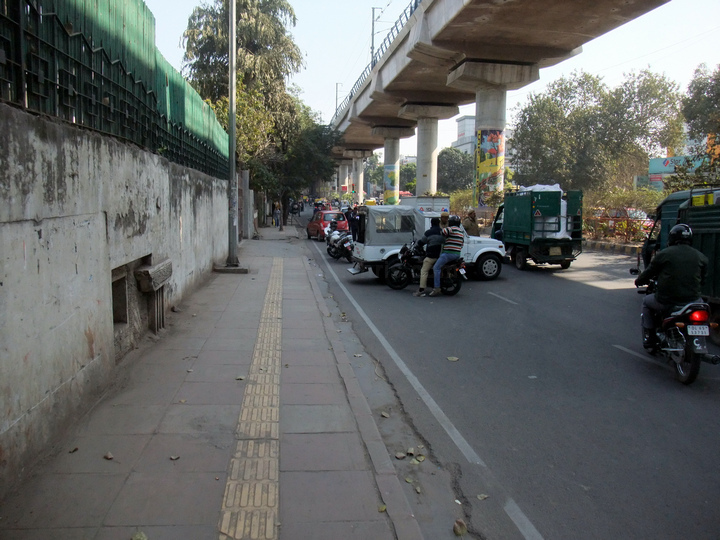 11.58 am – After we were done changing, we started our first day out in New Delhi, the capital city of India. 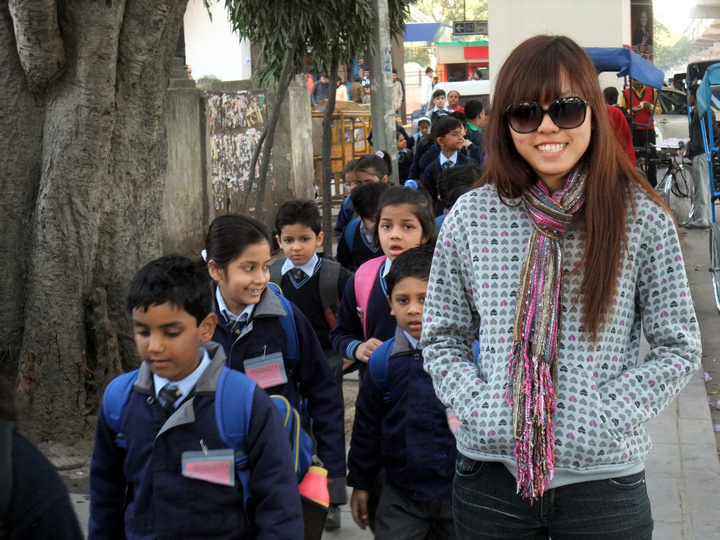 Luckier Indian children going to school. 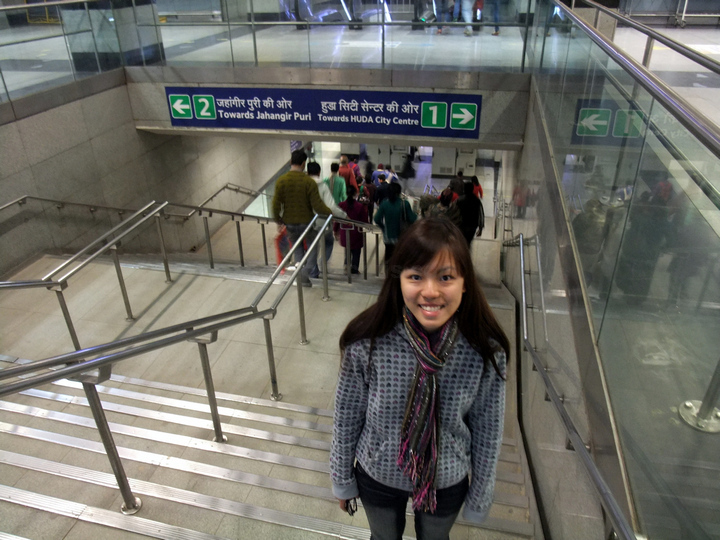 After a short walk from our hotel, we arrived at Karol Bagh metro station. 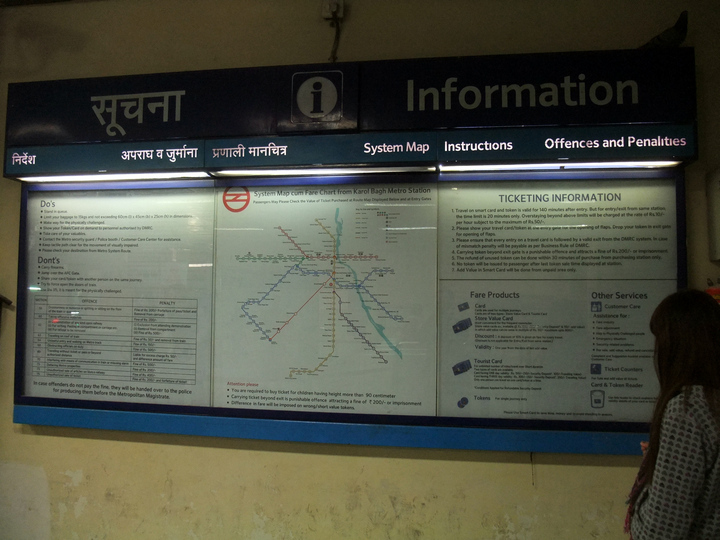 Information board at the subway. 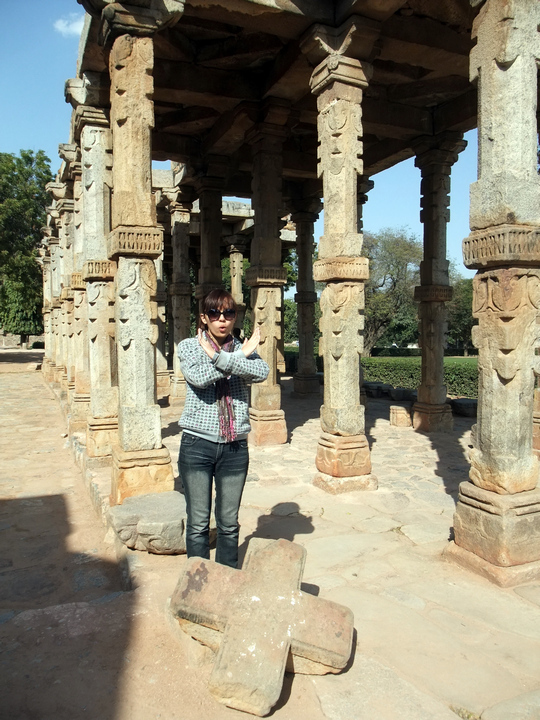 Bought ourselves a tourist card each which I regretted. 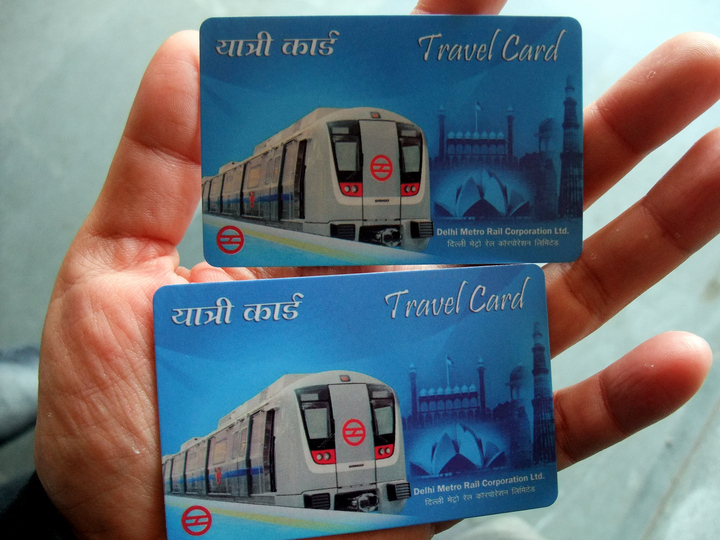 We should’ve just bought the Store Value Card instead. 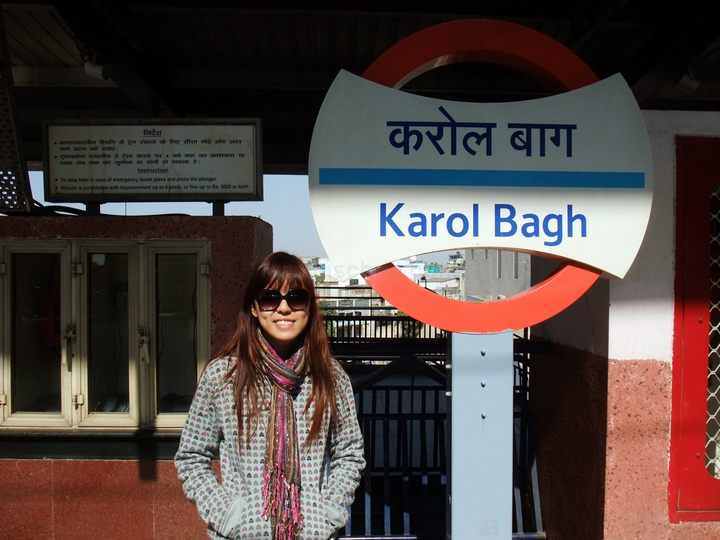 The station sign of Karol Bagh. 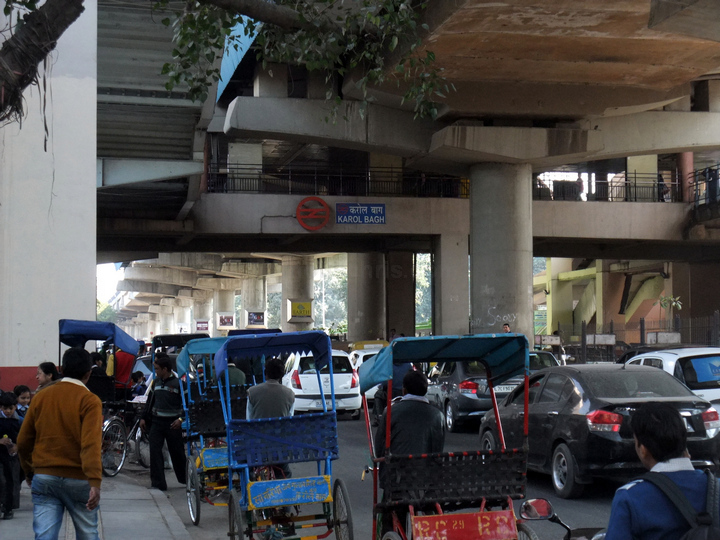 Delhi was very much cleaner in comparison with the other places we’ve been in so far. 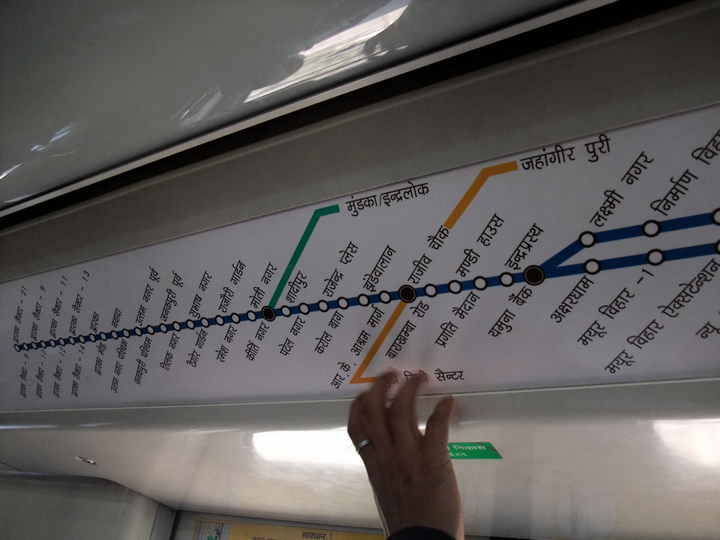 12.23 pm – Metro station names in Hindi. 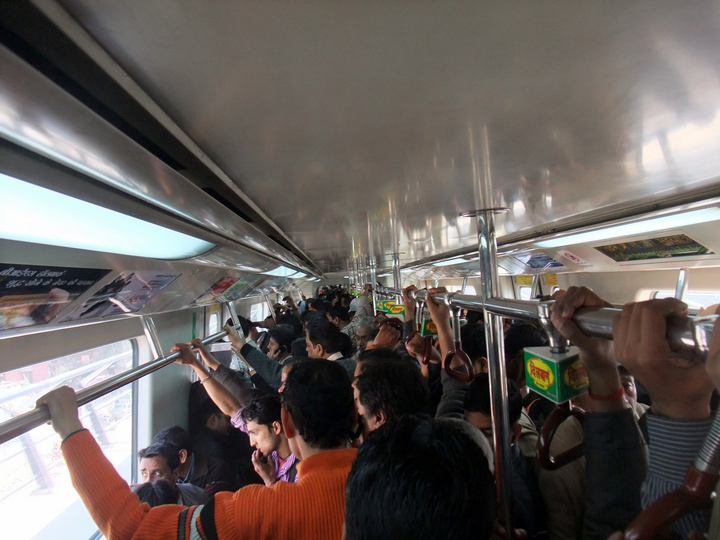 The packed crowd in the metro coach on a Wednesday afternoon. 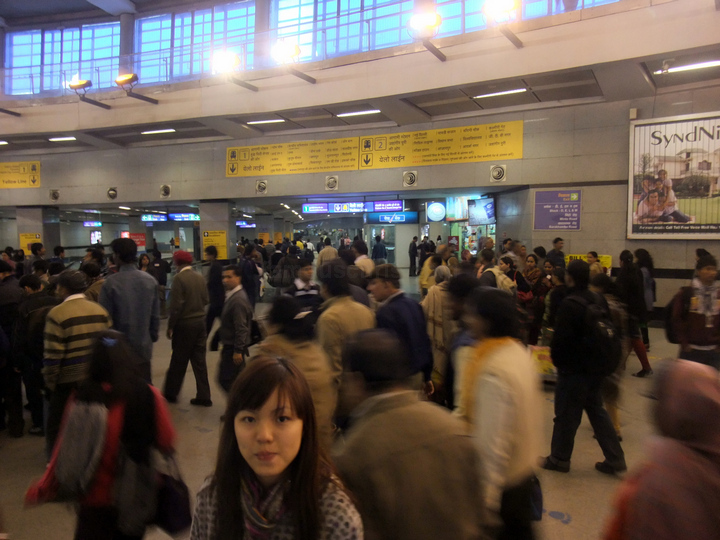 It’s not even rush hour. 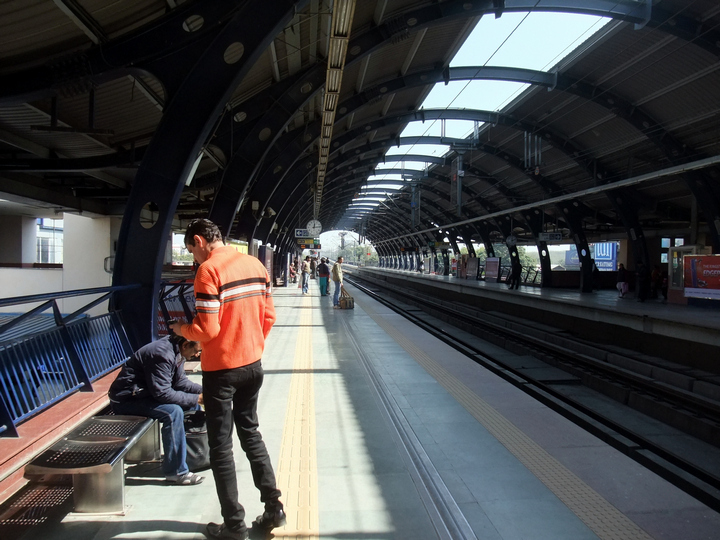 Rajiv Chowk, the main station that connects the 2 most used lines. 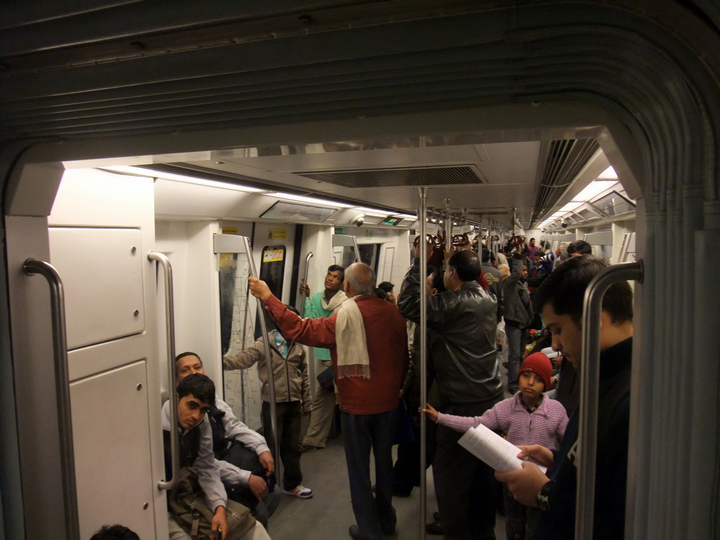 Walking up the stairs to change to another coach. 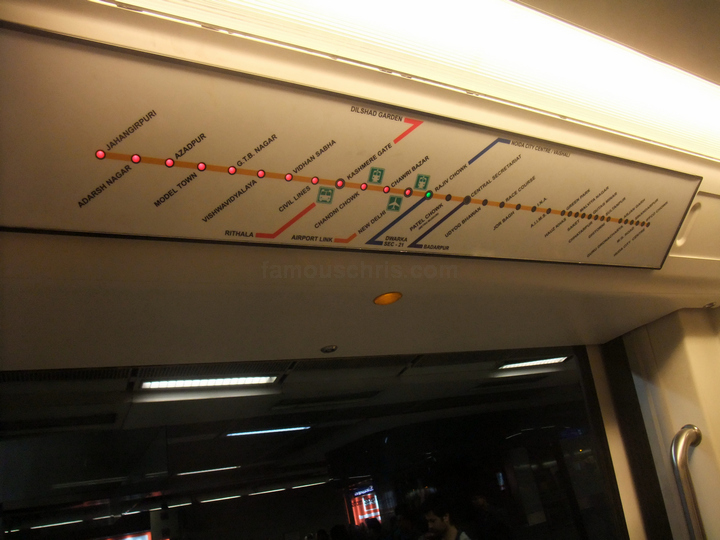 Signs in English and with lights indicating the previous and next stations. 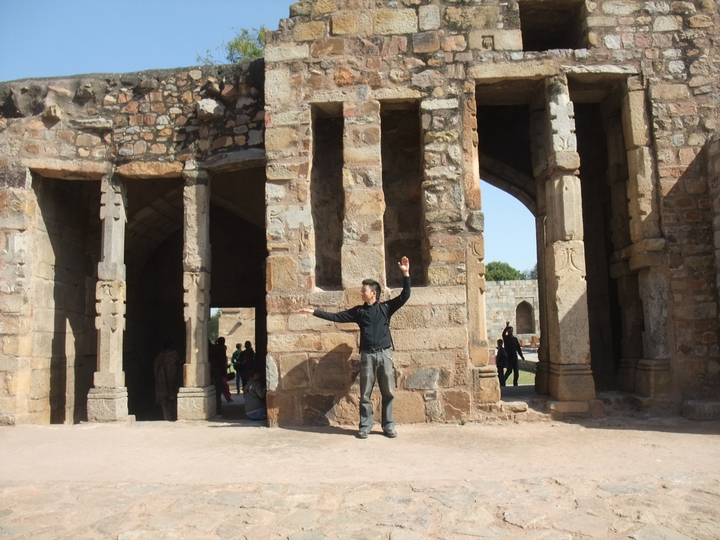 Somehow, I still felt it was crowded. 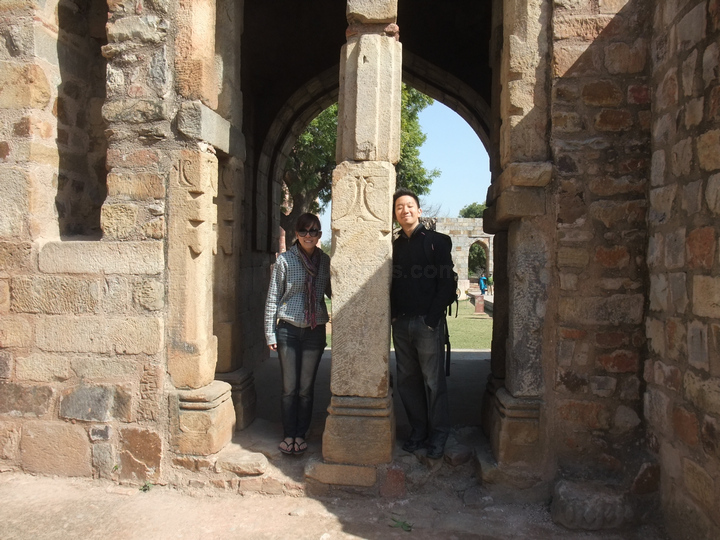 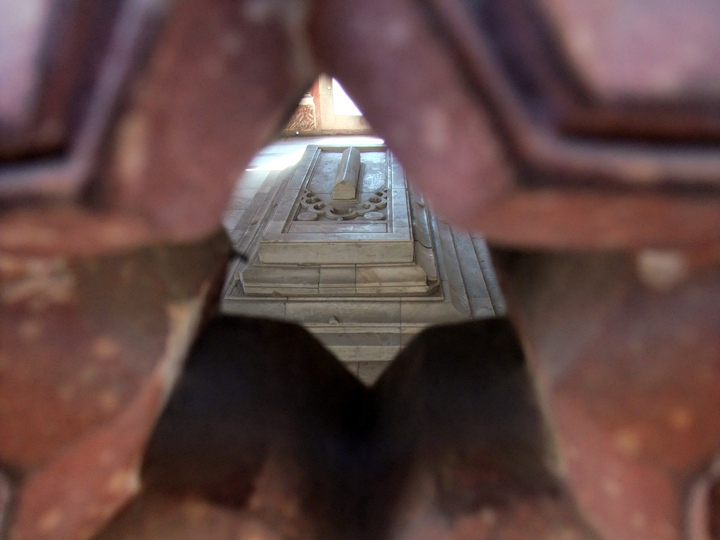 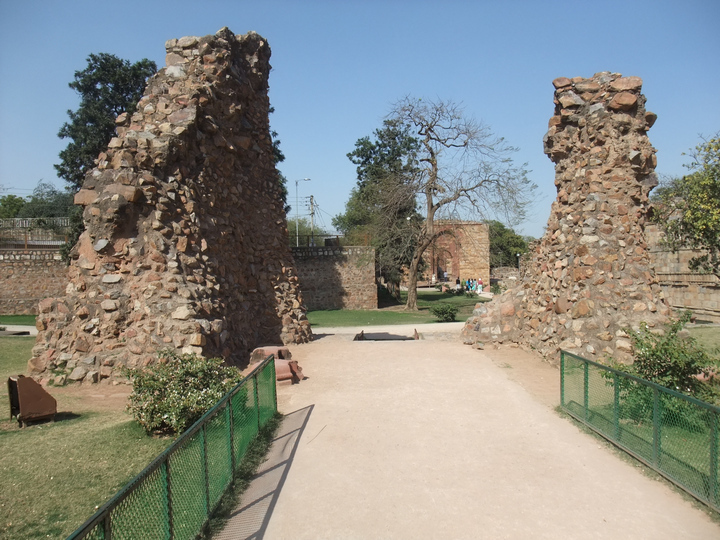 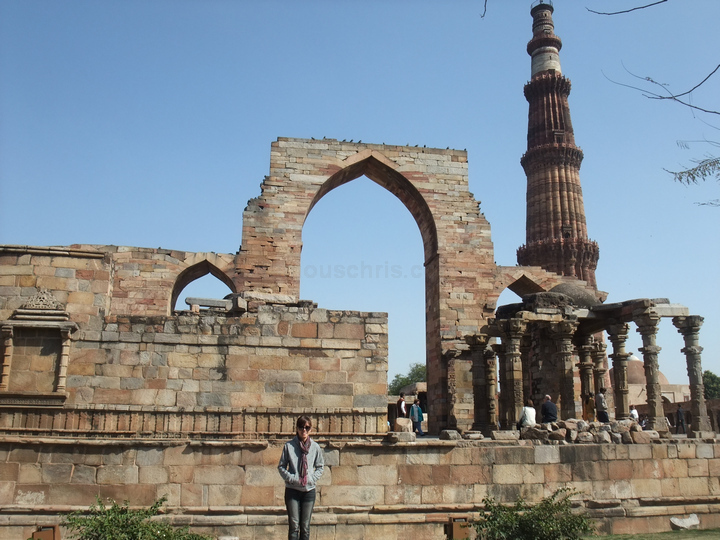 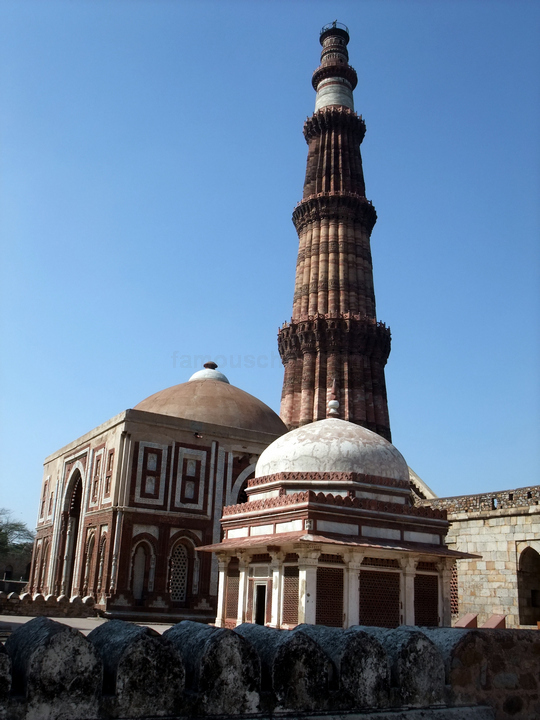 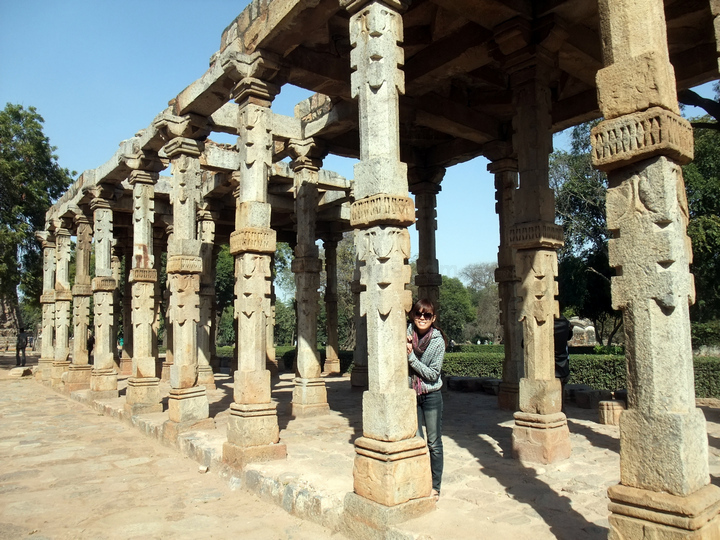 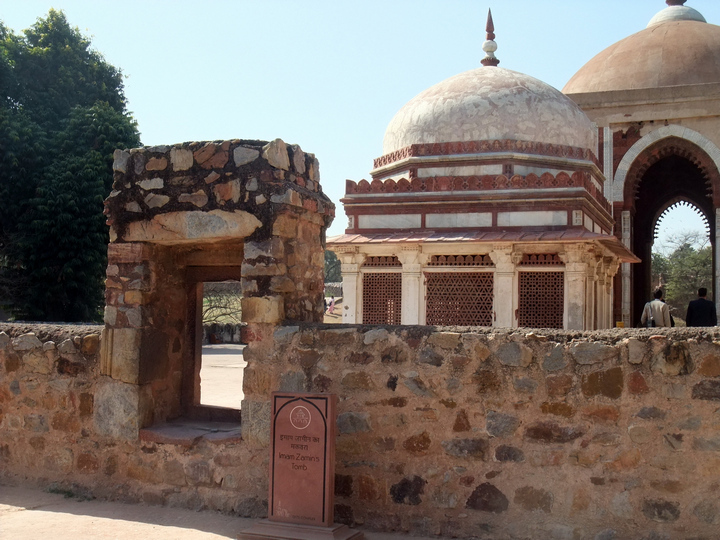 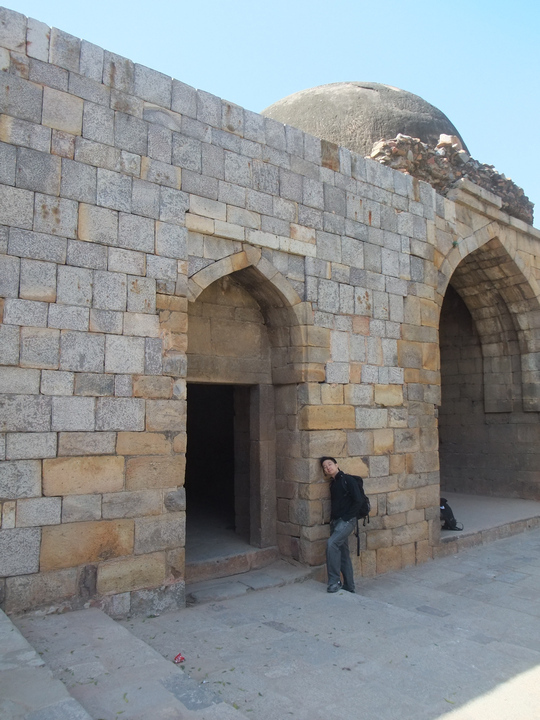 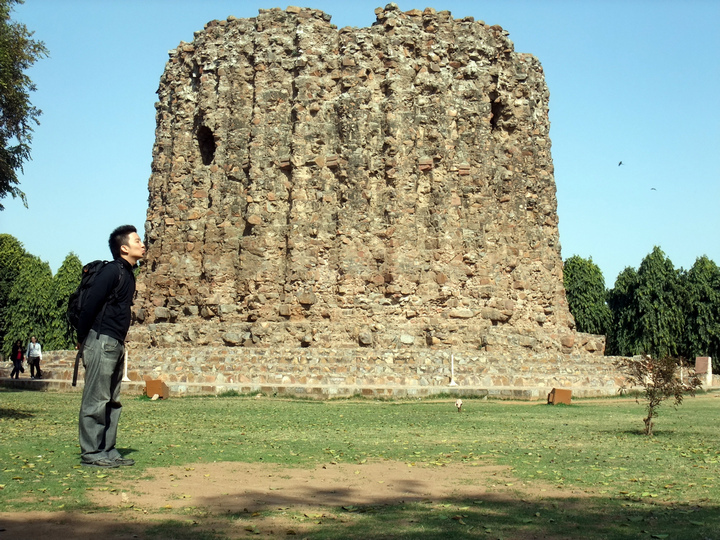 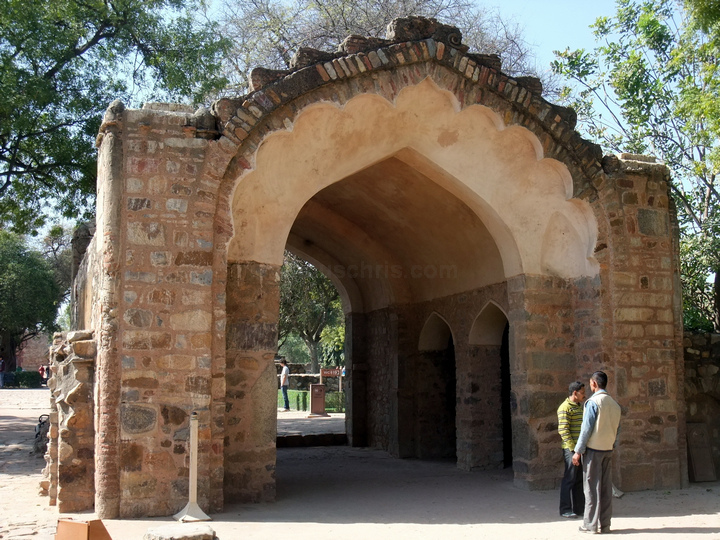 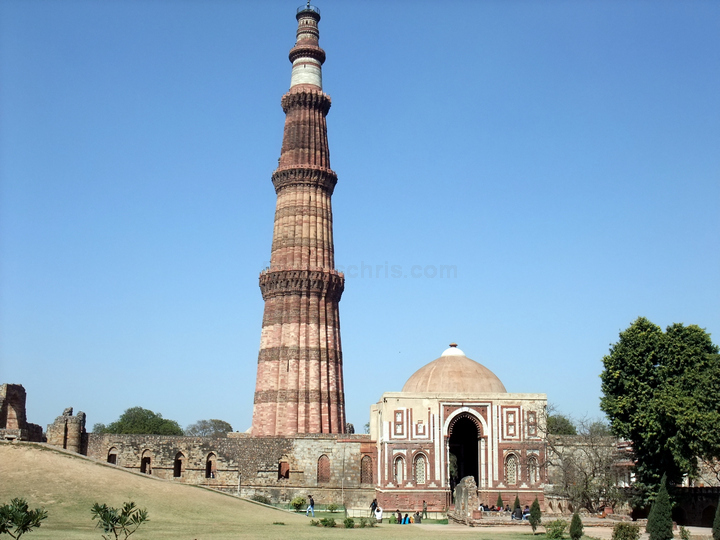 01.21 pm – Finally, we reached Qutub minar. 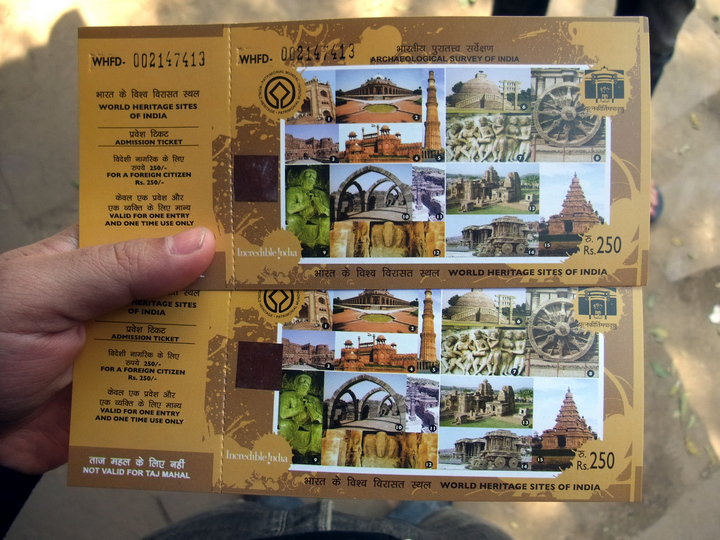 Bought our tickets for 250 rupees each. 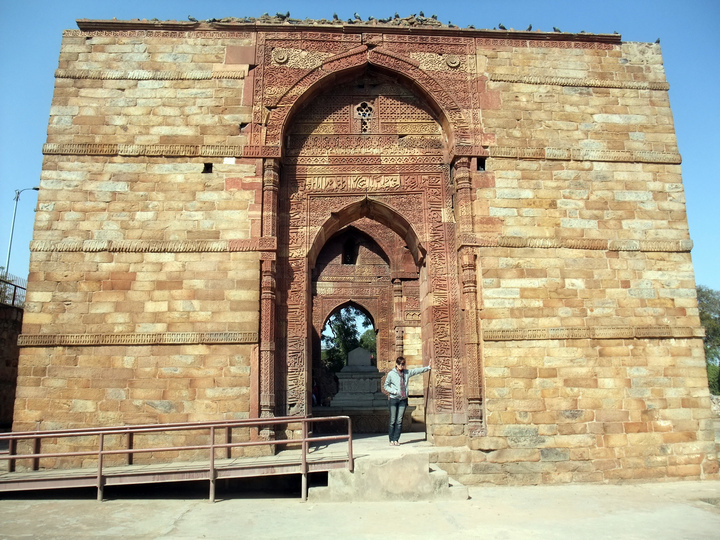 A building that was supposed to look like an entrance. 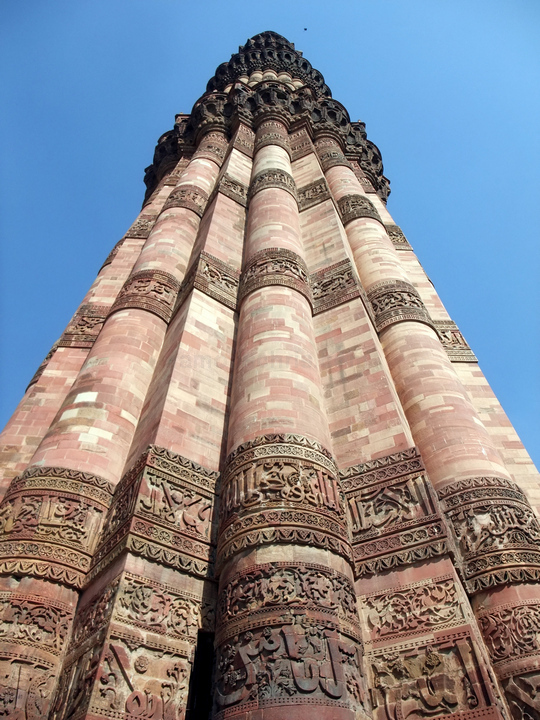 One of the buildings in Qutub Minar. 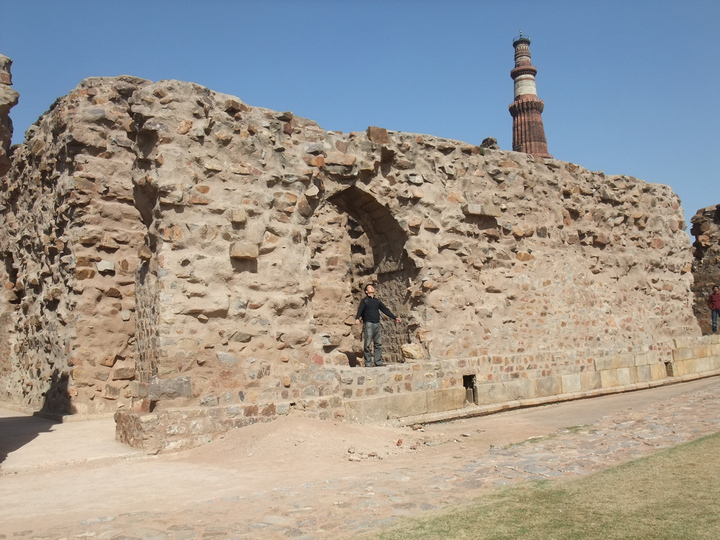 Better looking wall of rock bricks. 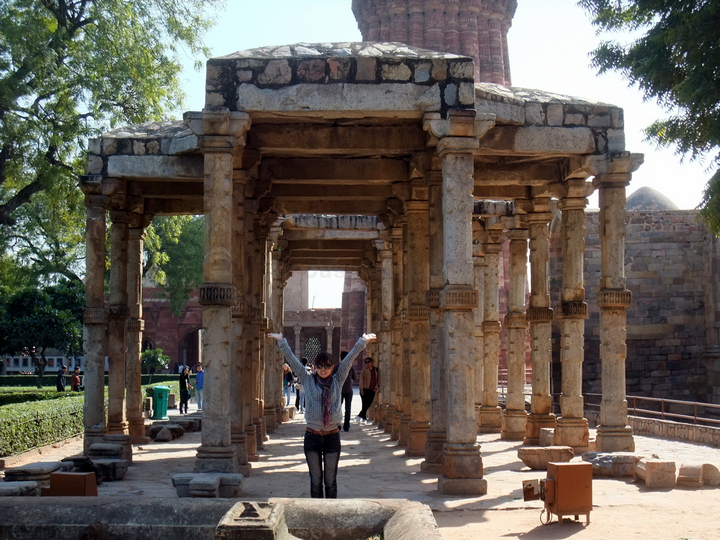 Enjoying Qutub Minar’s surrounding architecture. 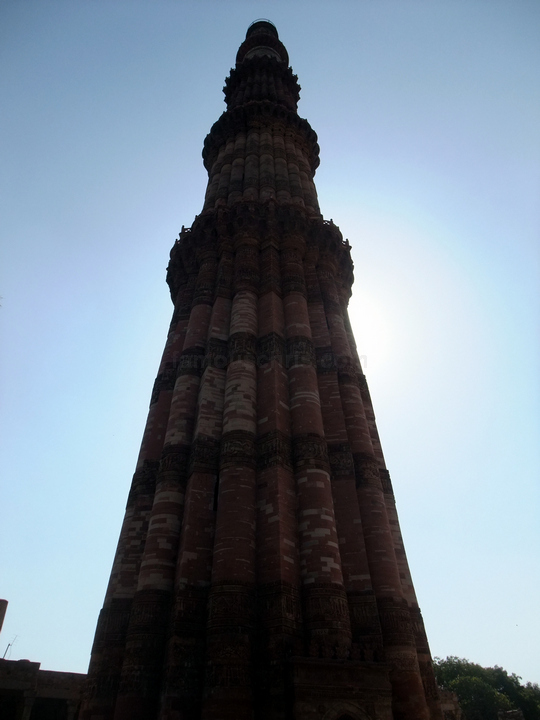 Qutub Minar, the tallest minaret in India, from afar. 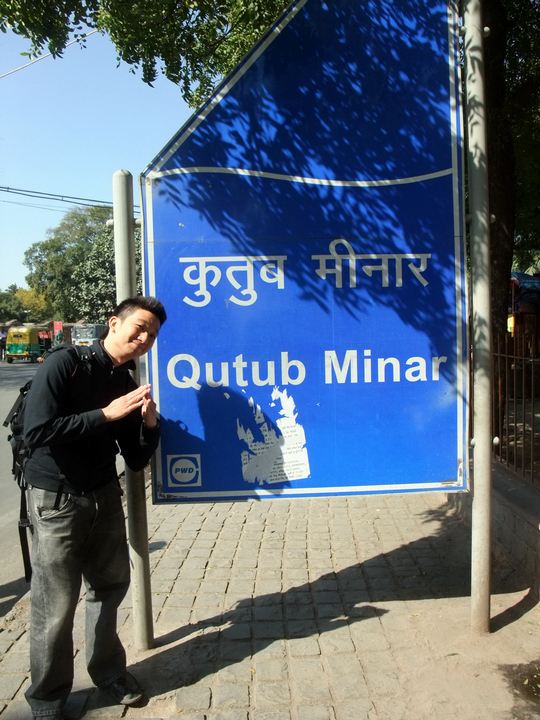 This was one of our best pictures in India. 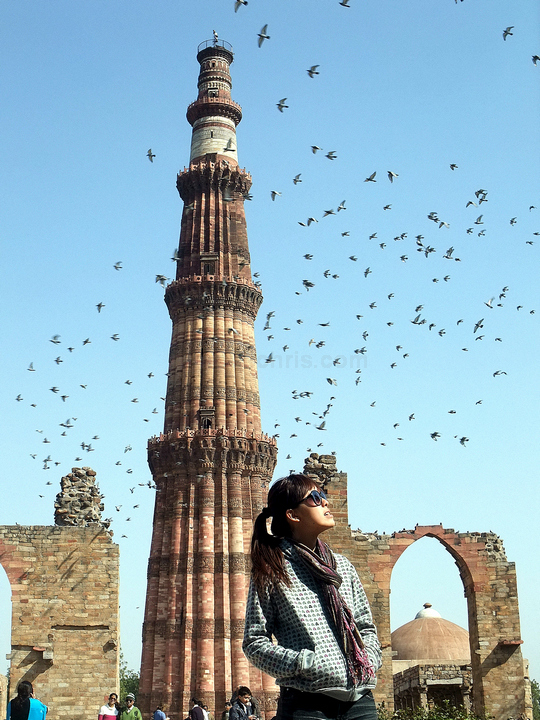 Lots of birds flying around all the time. 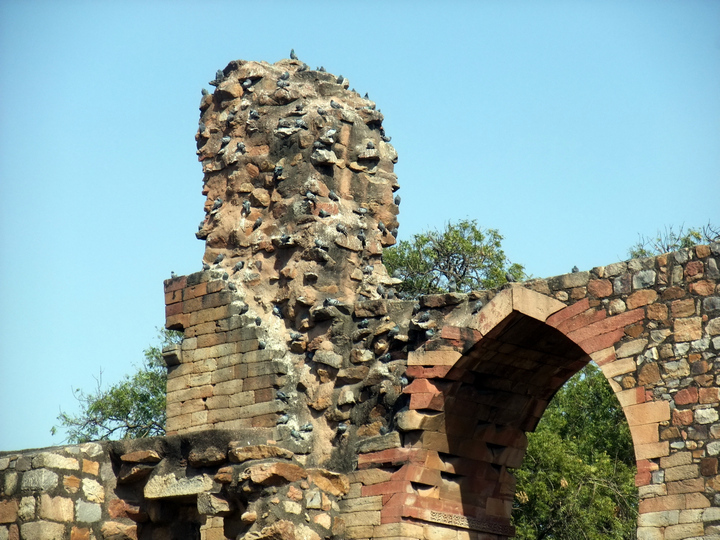 Pigeons resting by the rocks. 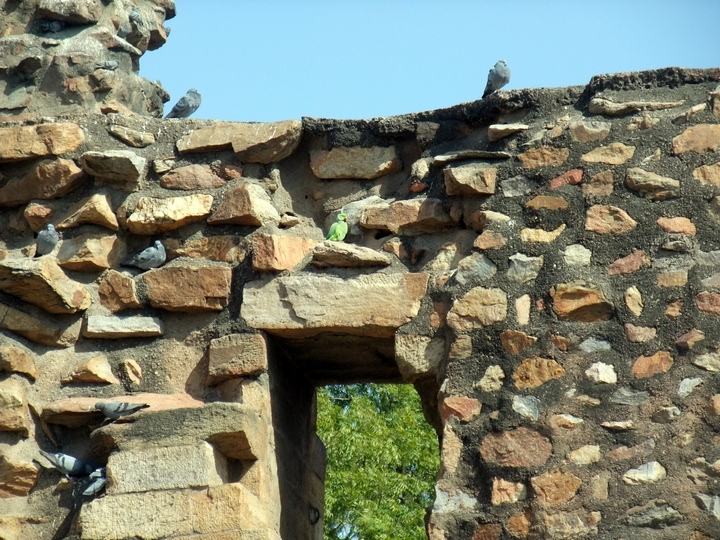 A green among the grey. 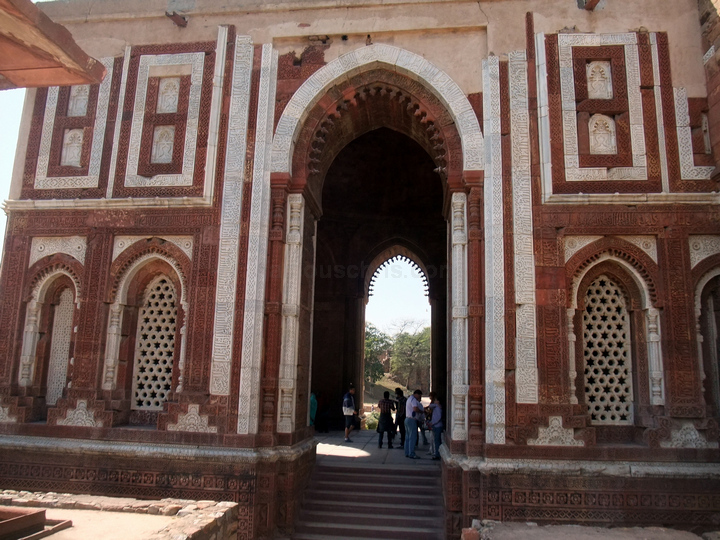 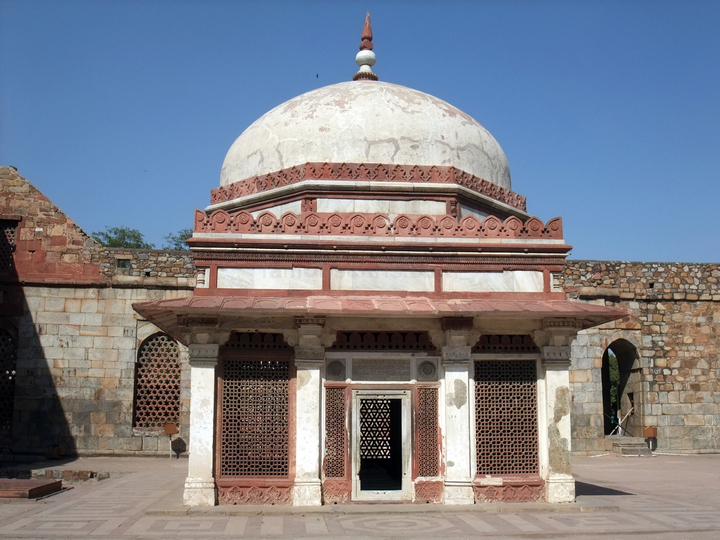 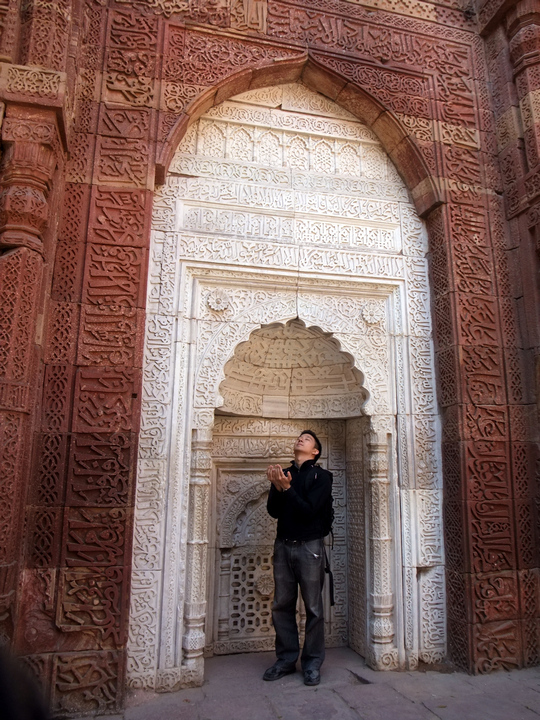 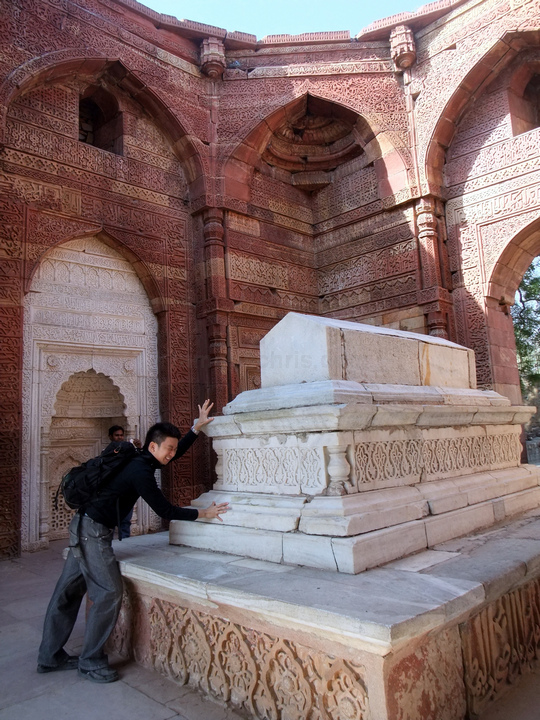 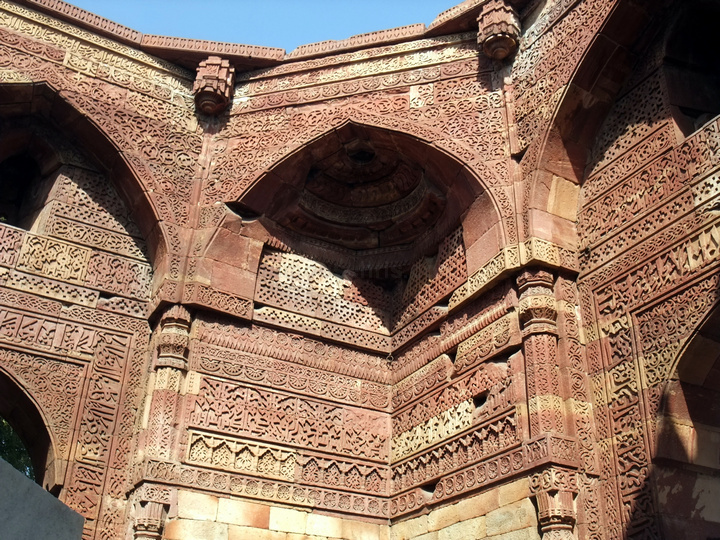 Tomb of Iltutmish, the man responsible for finishing the Qutub Minar. 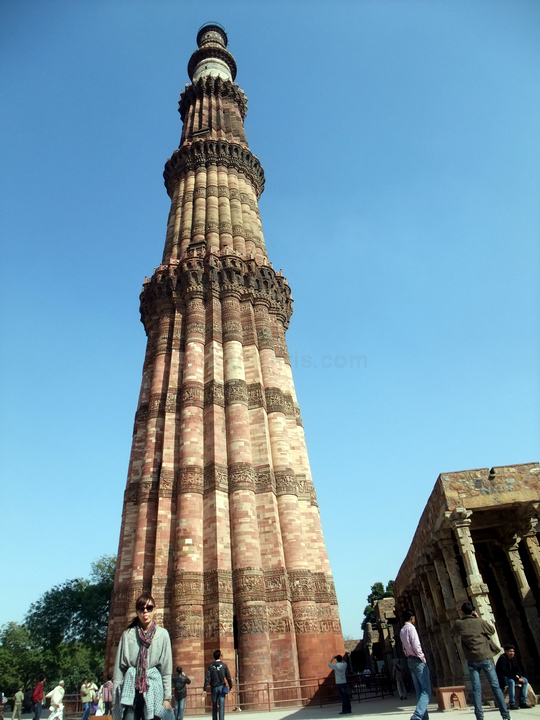 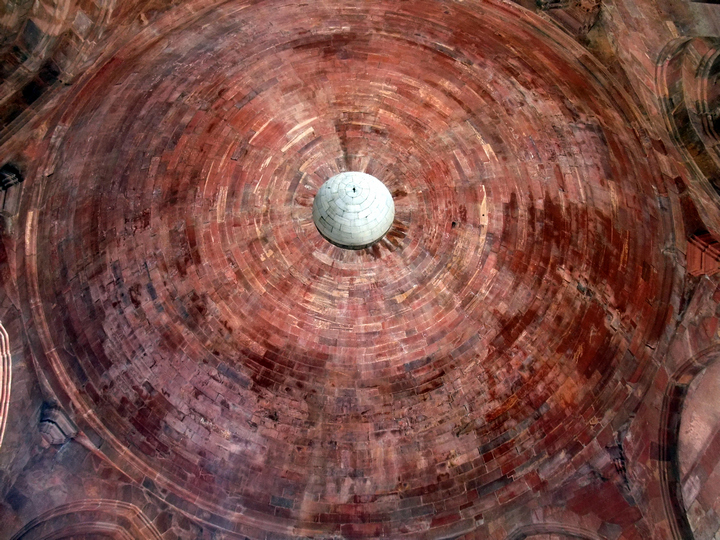 The base of Alai Minar, the unfinished minaret that was supposed to be twice the size of Qutub Minar. 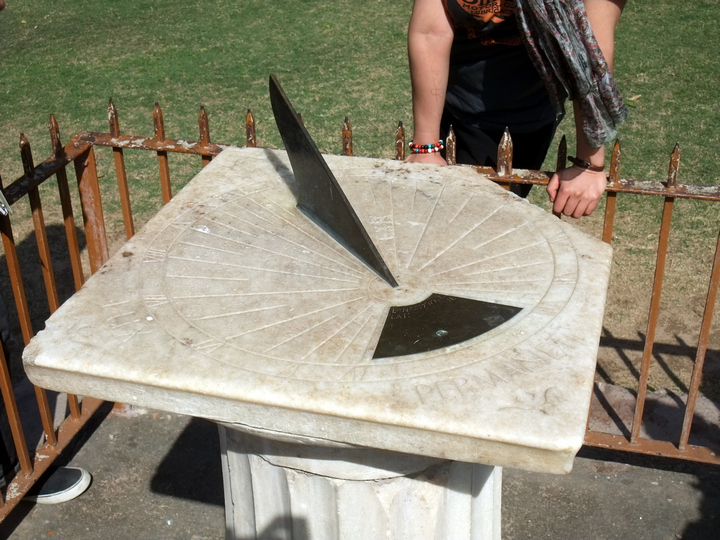 However, the man who intended to do it died before he could finish it. 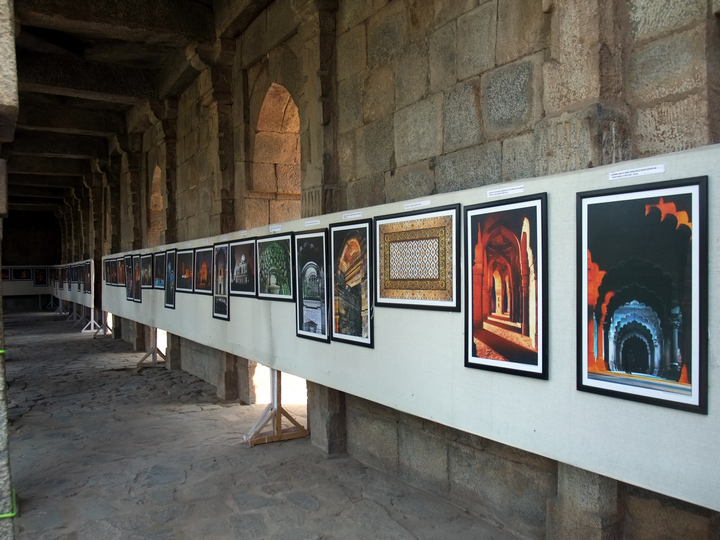 Images from a photography competition. 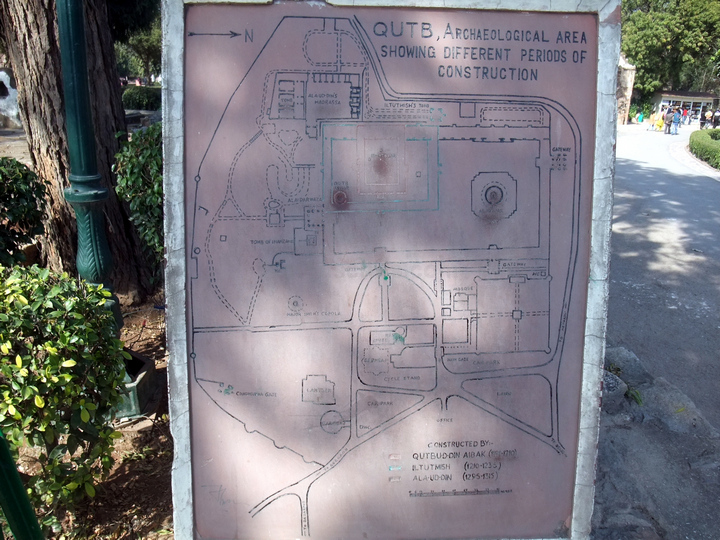 We only noticed the map of the area as we were about to exit. 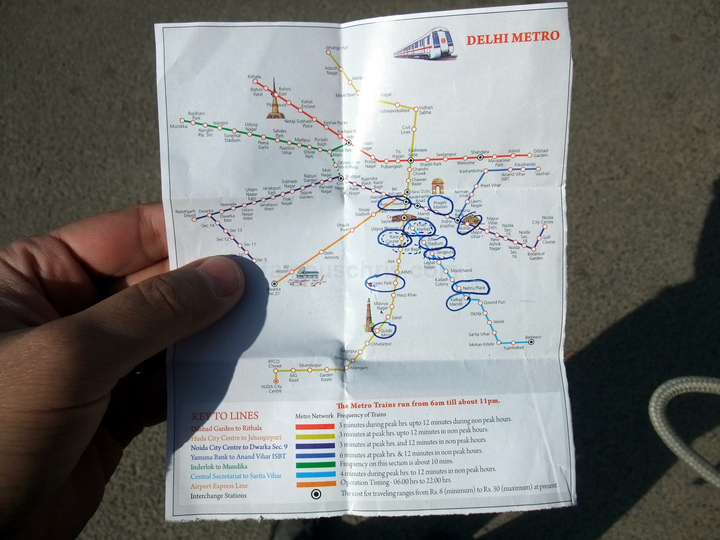 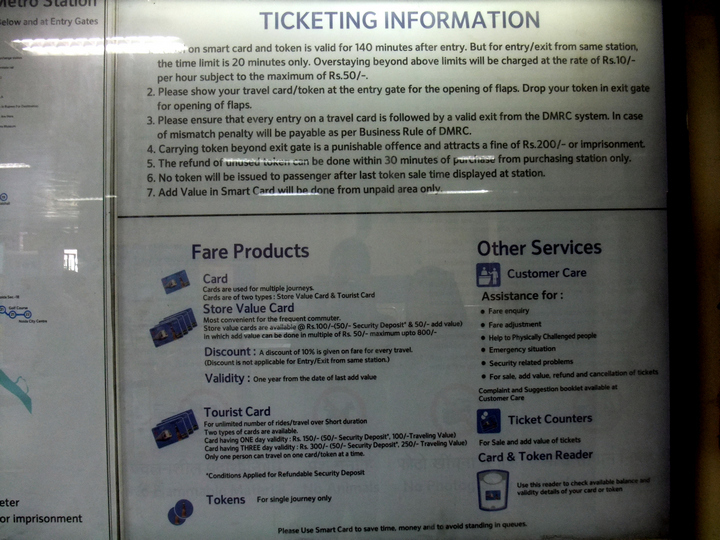 This was the most useful little piece of paper during my time in Delhi. 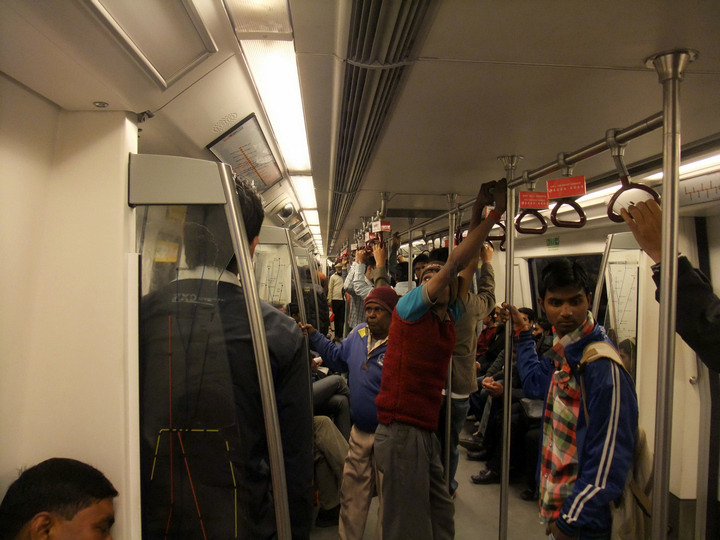 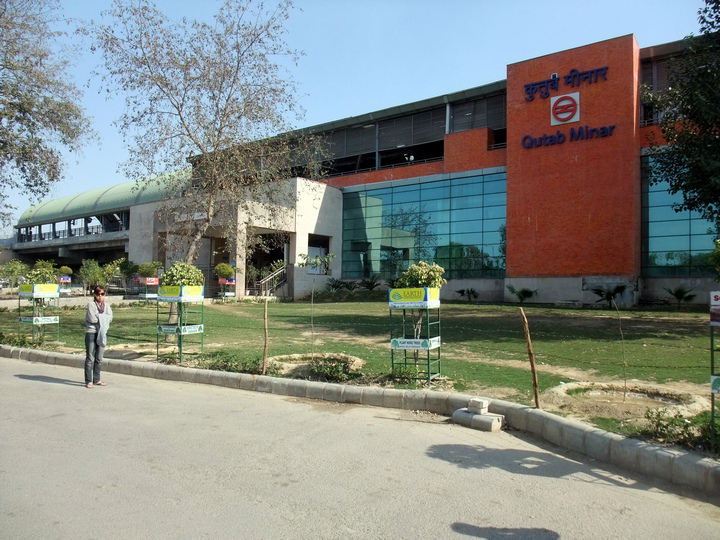 02.35 pm – Arrived in Qutub Minar metro station to catch the next ride to the city for a late lunch.